Wedding Day in any couple’s life is undoubtedly one of the most important days. The moment when they tie the knot, take the vows in front of their families and promise to be with each other for a very long time in life. These beautiful moments deserve the best wedding photographer for a timely capture, without any further edits and certainly an equally beautiful place as well to celebrate the wedding. 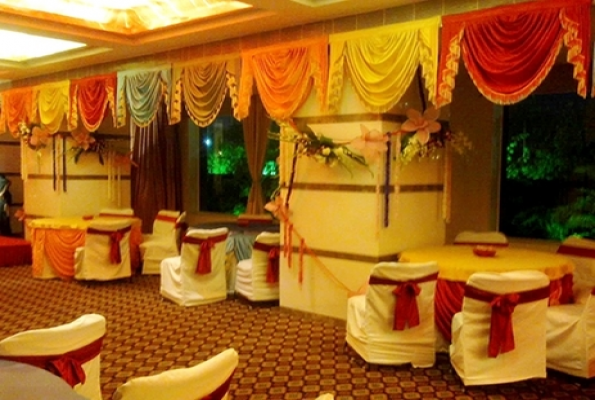 Hence, here you will find some of the best marriage halls that can bring your dream wedding to life! Talk about beautiful open air, luscious green lawn and a mesmerizing venue? PC Chandra Gardens will give it all to you. This is THE venue for those who want to an extravagant wedding. Address- Opposite Science City, Arupota Road, 144, Eastern Metropolitan Bypass, Kolkata, West Bengal 700105. Capacity- There are two lawns and a banquet as well. Lawn 1 Gold Acre can accommodate 1400 seating and 2100 floating; whereas, Lawn 2 The Maple has 700 seating and 1000 floating capacity. Decoration- You need to just set the theme and your decor will be provided by the venue. Food- Coming to food, you have the options of booking in-house caterer or you can also bring your own caterer. This place allows alcohol from outside as well. Per plate of food starts from Rs. 700 for Veg and Rs. 900 for Non-Veg. Tax is applied separately. If you are looking for a beautiful and serene wedding with a comfortable villa for the guests and bride-groom as well, JMS Villa and Garden should be your ideal choice. Capacity- This 18,000+ sq. 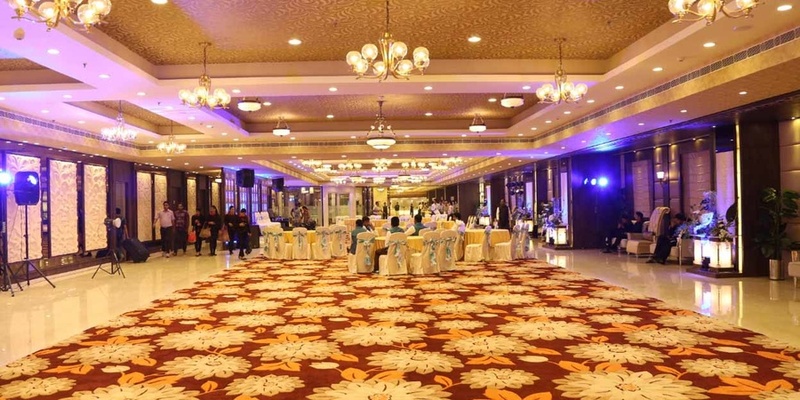 ft property can accommodate more than 1000 guests without overcrowding the venue. Decoration- The decoration in the venue can be done by you with outside decorators provided they have a legitimate license. Food & Drinks- The venue will not provide it; hence you have to arrange it on your own. You can have the entire place by yourself and celebrate your wedding just like the way you want it to be. Nalban has always been a place for sweethearts. With its scenic beauty and dazing romance, this place has been the spark starters for many couples. And for those who have not been to this place, getting married here will totally be worth it. Why? As an open lawn wedding venue, it has a humongous space and the theme will look nothing less than a fairy tale. Address- Dhapa, Kolkata, West Bengal. Capacity- As this is an open area, a huge number of guests can be accommodated here. Food & Beverages- They have their own caterers as well, though the option of getting your own caterer is also available. Alcohol is allowed at the venue, not only that, there is a facility of the in-house serving of alcohol. It is not that the entire lawn venue has to be out of the budget, there are some exquisite lawns which will fit your budget rightly. This stunning lawn with a banquet is perfect for a stunning indoor wedding and then an open-air celebration. Decoration- There is a beautiful waterfront as well as a portable dance floor. The decor will be done by the venue once you fix on the theme. Also, there are separate rooms for the bride to get ready or relax. For other queries, call them at +91 9003008767. If you have dreamt of a beautiful and big wedding, surely your dream venue would be this. Click some mesmerising bridal portraits keeping the venue in the backdrop. Address- 1 & 2, Little Russel St, Kankaria Estates, Park Street area, Kolkata, West Bengal 700071. Capacity- It is perfect for a fairly large wedding with a maximum of 800 guests. Decoration & Food- You can avail some good deals and packages here for the wedding. Also, catering is available here. Tie the knot at Resort! How about having a destination wedding without travelling out of Kolkata? Vedic Village is just the right choice for you. 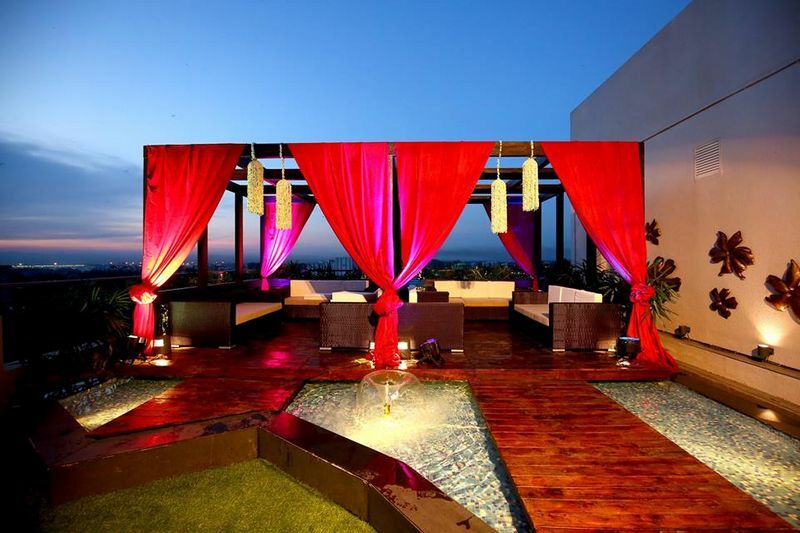 The exotic location will mesmerize you and the guests with its beautiful decor and arrangements. Located near Lauhati and Chandpur, you can also book the villas for guests to stay or for the bride-groom to rest as well. Along with this, you have more liberty to choose and select some beautiful theme of your dream. 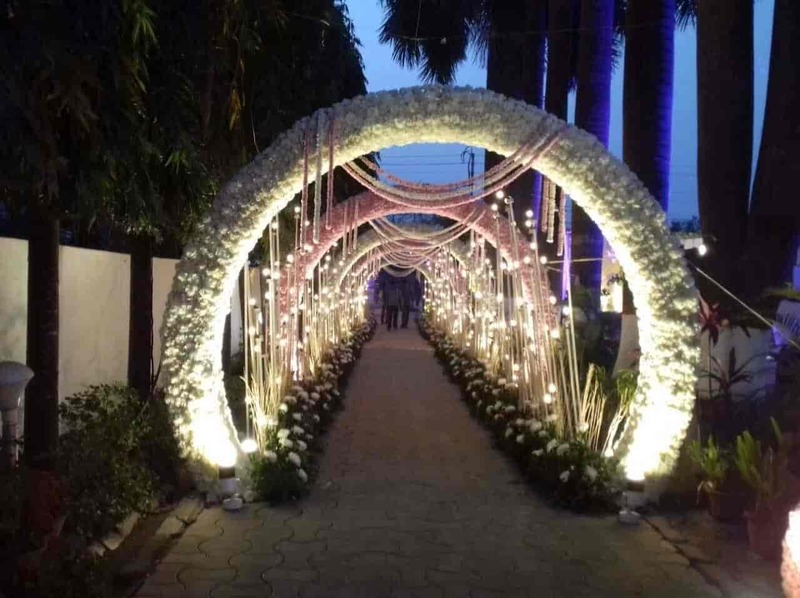 They have decorators at the venue to take care of the light, floral decor and music system as well. You can bring your wedding photographer with you since the venue does not provide you with photographers. 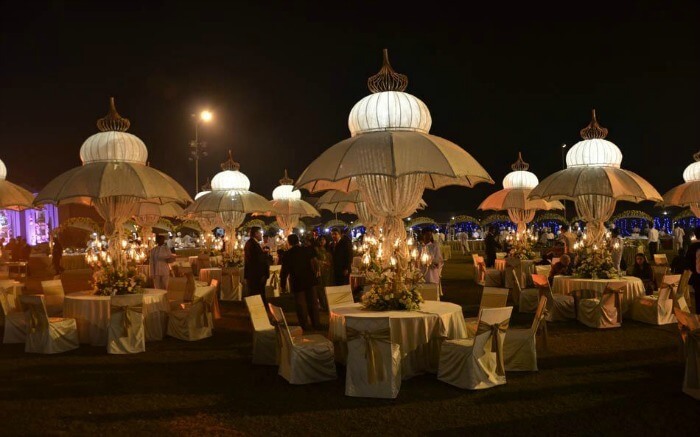 From banquets, wedding lawns, cocktail venue to all, Calcutta Boating and Hotel Resort can give you anything that you dream for. 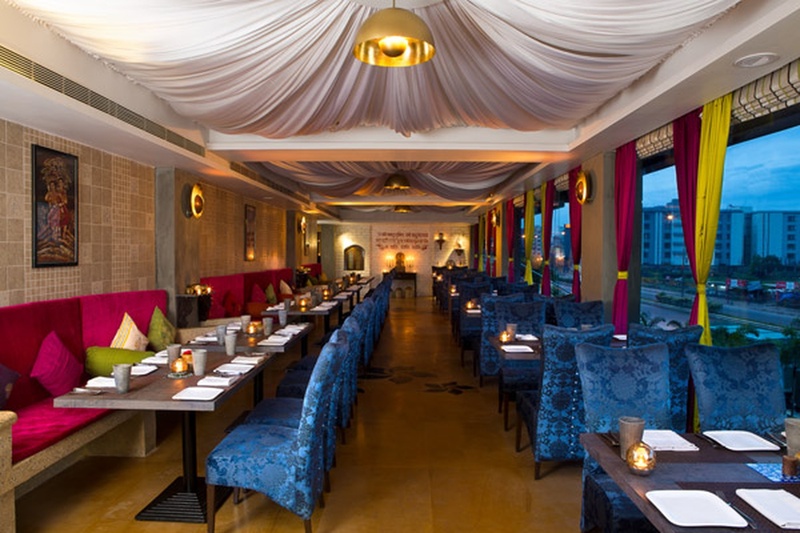 In short, you can vouch for this venue as one of the best in Kolkata. There are in total 6 halls and several lawns that give you the option to choose the most suitable one. Capacity- They have banquets where 300 people can accommodate to banquets for 1000 guests (seating). 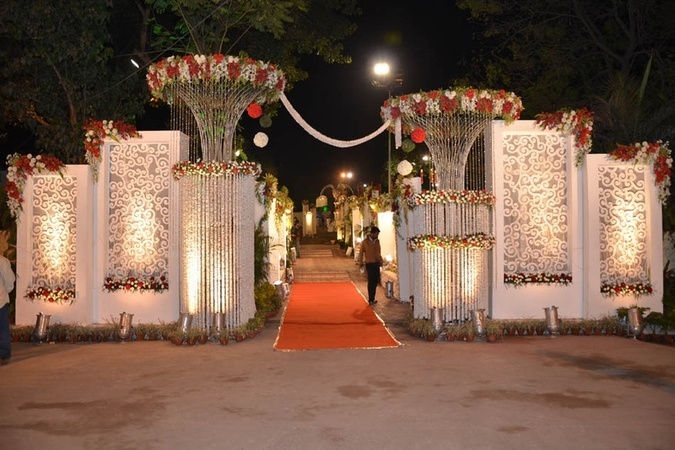 Decoration- The decor will be provided by the venue itself with lights, floral design and more. Contact them for detailed information. This venue offers a picture perfect wedding with myriad of facilities that are going to add more stars to your wedding. There is a beautiful swimming pool in the venue which is perfect for great pictures and the guests can enjoy witnessing the beautiful rituals there. Apart from these, you can have an elaborate wedding feast as well with barbeque in the lawn for the guests. A little away from Kolkata at Diamond Harbour, this beautiful Palm resort is one of the most outstanding locations for a wedding. A dreamy and fairytale location along with luscious green around is going to be your perfect destination wedding. The decor will be done by the venue and they have one of the finest decorators up their sleeves. Make sure you get the booking done from beforehand as many people vouch for this destination. There are couples who would give a thumbs-up for subtle decor and arrangements. Too much of anything is not their cup of tea. For those couples, this banquet would be a great choice. It is quite spacious with 2 AC halls making this place comfortable for all the guests as well. Address- 13, Ho Chi Minh Sarani, Kankaria Estates, Park Street area, Kolkata, West Bengal 700071. Capacity- The Golden Parkk is capable of holding a maximum of 600 guests. Seating 400 guests. Food- The food is of excellent quality for both veg and non-veg plate. However, per plate, it can be on a higher budget side costing around Rs. 1,000 per plate. You can get your caterer from outside as per your convenience. Alcohol is not allowed at the venue. Other details- Firecrackers, overnight wedding, baraat, and hawaan are restricted at the venue. This is one of the best banquets you will see. Quite a spacious place the interior has a beautiful modern touch to it. Address- DC Block, Sector 1, Salt Lake City, Kolkata, West Bengal 700064. 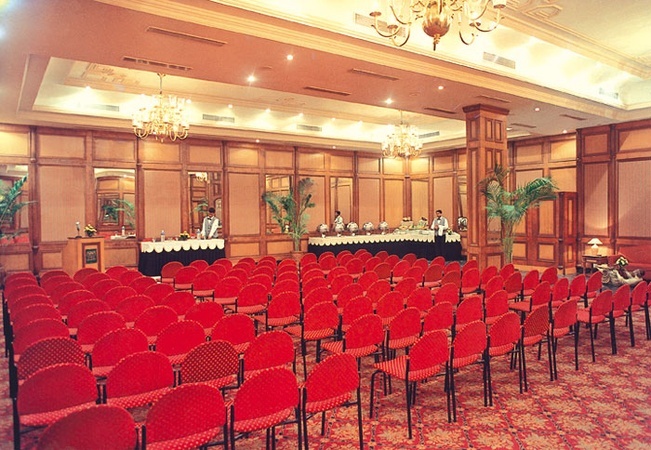 Capacity- Around 550 guests can accommodate in this place without any hassle. Decoration- It is an added advantage here, the interior decor which can be very glamorous. They have their own decorators who are excellent at their skills and will provide you with some stunning thematic and dramatic designs for the interiors. Food- Food is provided at the venue itself. Outside catering is not allowed. the Vegetarian menu starts from INR 900 per plate. Alcohol is neither served at the venue nor is it allowed form outside. Other details- You have to pay 30% of the entire amount at the time of booking. But remember the rooms are non-cancellable. The venue is completely air-conditioned which allows baraat, hawaan, and firecrackers. Late night music and wedding both are restricted at the venue. 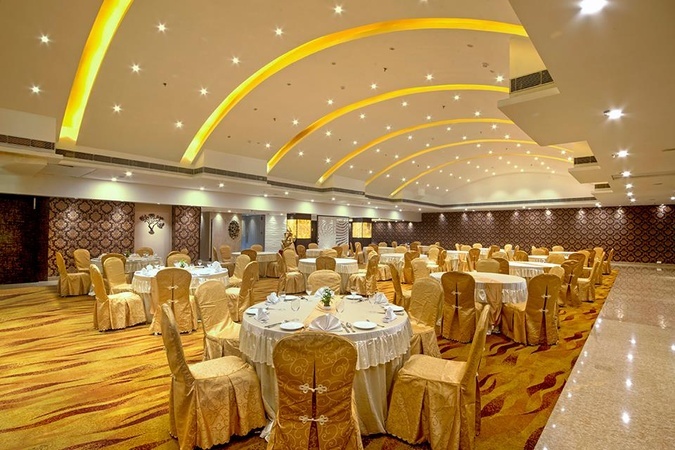 It is one of the most high-in-demand banquets in Kolkata so it is always advisable to pre-book the dates. Another great place for you to check. 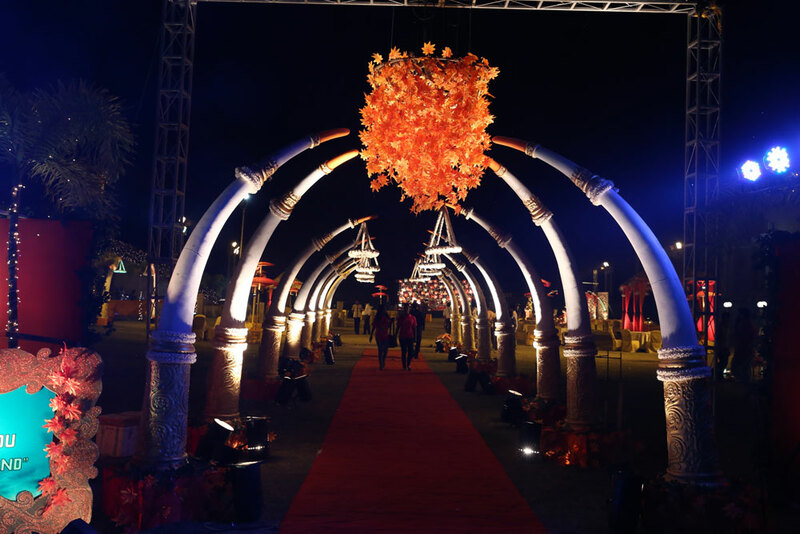 The entire place has a very flamboyant appearance which will definitely add more charm to your wedding. Address- 12, Jawaharlal Nehru Road, New Market Area, Dharmatala, Taltala, Kolkata, West Bengal 700013. Capacity- The Peerless Inn has 4 reception halls and each of it has a capacity of 400 people. Food & Decoration- While speaking of food and decoration, they have their own caterer and decorator, so you don’t have to worry about these. They will do the decoration as per your choice and will. It is one of the most recognized places for weddings and reception. Interestingly, here you will not only find banquet halls but also wedding lawn and rooftop for the cocktail party. Food- Veg per plate- Starting from INR 550/- per person. Non-Veg per plate- Starting from INR 650/- per person. Outside Caterer is now allowed at the venue. Other availabilities- Air conditioner, stage, projector, TV screens. 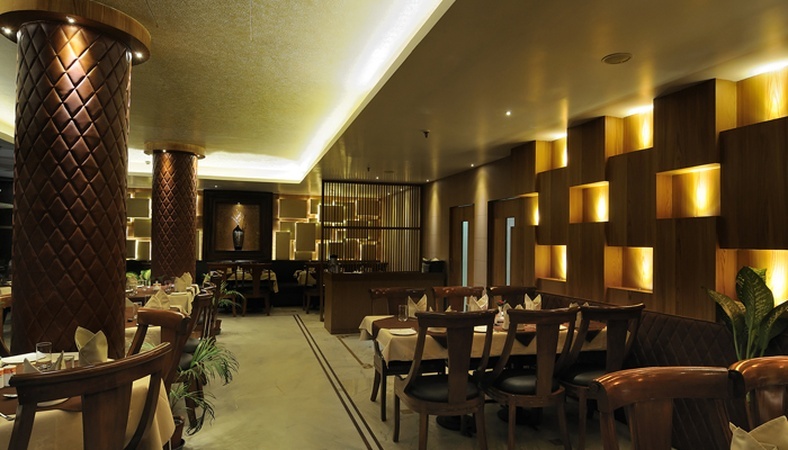 If you have a strict budget, yet you want a beautiful banquet, Chandra Banquets at Bangur is your destination. Completely air-conditioned, you can enjoy the beautiful ceremonies and witness the loving couple taking vows of togetherness in a beautiful mandap set up inside the banquet. You have the liberty of bringing your own decorator, caterer, florist and others of your choice. Know more about them here. Address- Ecosuite, Near City Centre 2, Action Area IID, Newtown, New Town, West Bengal 700136. 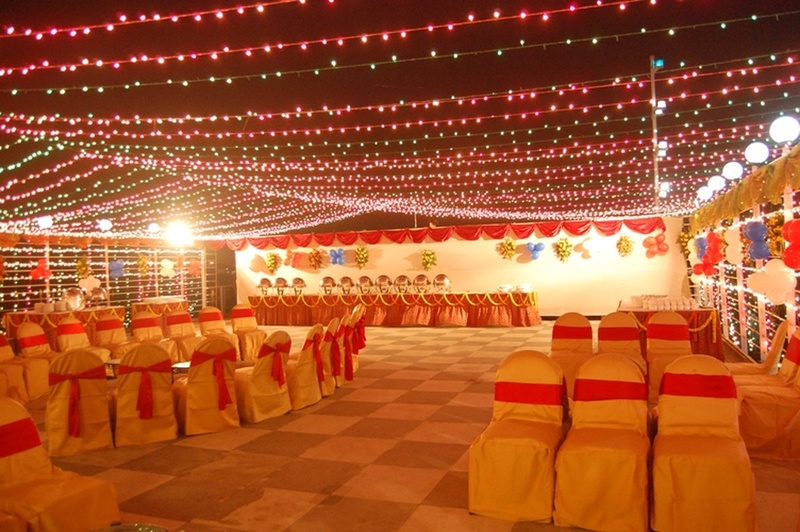 Located at Rajarhat, Newtown; this spacious open-air banquet can accommodate around 600 people. They have a modern and edgy setup and on-going decor ideas. Food & Decoration- They have both in-house decoration and caterer to make it a seamless solution. Outside alcohol is not permitted, they provide it in-house. This is perfect for people who want to add some freshness to their wedding instead of carrying on with the typical style. 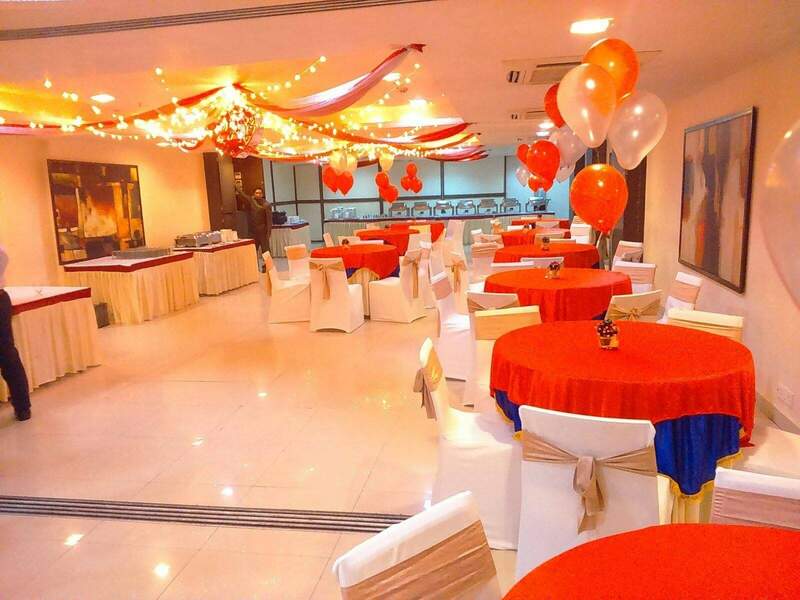 Contact them here – Smriti Banquets. Want to restrict your ceremony to your family members? Celebrate an intimate wedding at Pipal Tree. The restaurant decor is stunning and they will deck up the entire place for you. Enjoy some amazing food and a good chat with your close family members at this place. Also, this will serve your purpose if you have budget constraints. Address- AS/464, Major Arterial Road, Noapara, Hatiara, Newtown, Kolkata, West Bengal 700157. Capacity- Seating 500 and Floating 700. Food- Veg starting from INR 650/- per plate. Non-veg starting from INR 900/- per plate. However, for everything to go smoothly, you must get the booking done from beforehand. This is another great choice for having a wedding dinner. If you love to dig into a variety of cuisine, this is the perfect place. Address- Plot No. KB 23, Sector 3, Salt Lake City, Kolkata, West Bengal 700098. 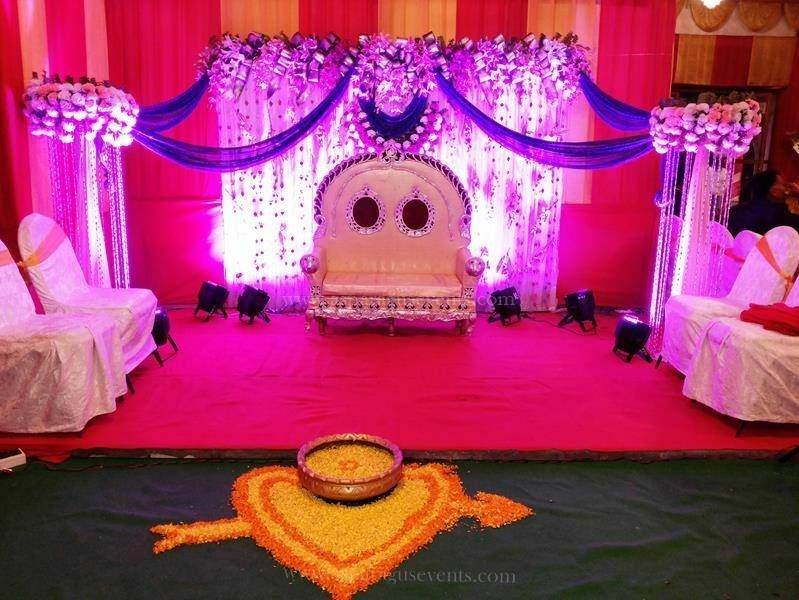 Seating Capacity- The capacity is for 200 people, which is quite good and most of the people are in love with the beautiful decor that the venue will present. Food- Food and Alcohol will be served in the hotel itself. Alcohol from outside is strictly restricted. O2 has a very peppy feel and people would have a great time at the wedding. From dancing to having fun, this place will give you all. 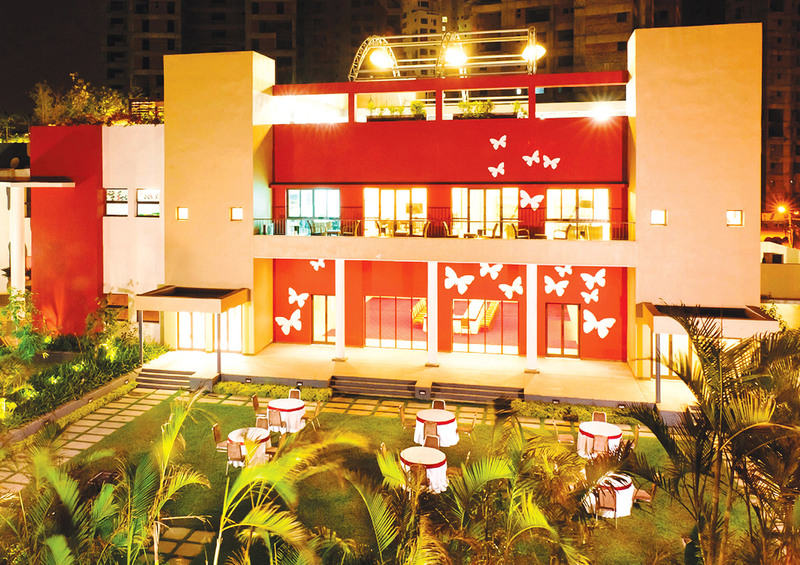 Though space is not that big and can only accommodate around 200 people, this place assures to give you a great time. You can also have in-house DJ to shake a leg after the ceremony. Address- 9/10, Kolkata Jetty, Strand Road, Opposite SBI Head Quarters, Kolkata, West Bengal 700001. This is not just a venue; it is going to be an experience for most of the people. The anchored boat venue will set the sail of your wedded life at the perfect pace. Apart from the great view and decor, you can have a pleasant wedding with close family members and keep the ceremony an intimate affair. Food & Decoration- Food, beverages (both alcoholic and non-alcoholic) and the decor will be given at the venue. Make sure you get the bookings done from before-hand for availability. Address- Singhi Villa, 49/2, Gariahat Rd, Dover Terrace, Ballygunge Area, Kolkata, West Bengal 700019. If you are looking for a complete wedding package, this is your place. They have the facility to execute all kind of ceremonies and at a moderate budget. Along with in-house catering and bus services, they also provide car/ bus rental, firework, DJ, Live music to make your wedding-worthy! Wedding halls – The more the merrier! There is a reason why people call it ‘A Big Fat Wedding’. We Indians can absolutely relate with the concept of relatives. Address- A-173, Survey Park, Santoshpur, Kolkata, West Bengal 700075. Capacity- The hall can hold 1000 guests at a maximum. Food & Drinks- Food and drinks (both alcoholic and non-alcoholic) will be provided at the venue. Veg Per plate starts from INR 800 while for Non-Veg it is INR 1000. 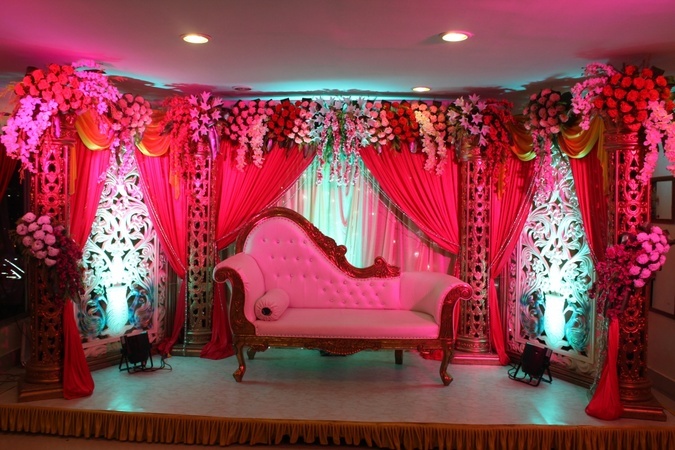 Decoration- You can get the decoration done as per your choice. Other details- The booking is cancellable. Marriage halls will give you the option to invite everyone and manage good space for them. The hall is huge for the ceremony to take place and along with it; there is a separate area for eating. Address- 18, Stephen Court, 18, Park Street, Central Kolkata, Park Street, Kolkata, West Bengal 700071. 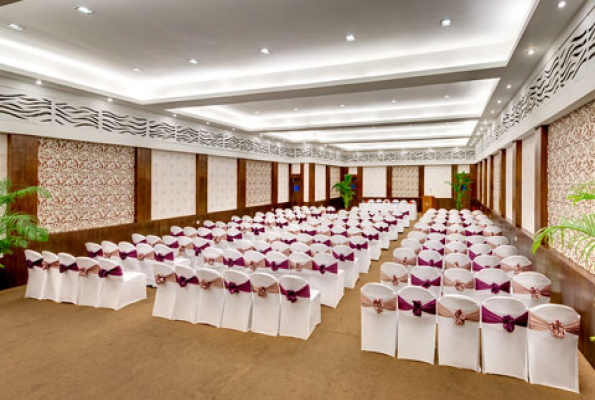 Capacity- A beautiful marriage hall where more than 1500 guests can accommodate. This spacious place is perfect if you are looking for something more in your budget. Food- The food plate here starts from as low as Rs. 400 (for non-veg). Though external food is also allowed. Decoration- You are free to get decorators and florists from outside. Also, the booking hours are quite flexible, which will help you save quite some time. Address- Block D, Baghajatin D Block Rd, Block J, Baghajatin Colony, Kolkata, West Bengal 700086. Capacity- This Ambuja property can accommodate more than 600+ people making it a very feasible option for a wedding. As this is an open-air area, you can come up with modern decoration as well as be creative at a given budget. Food- You are free to get your catering and decoration person from outside. Located at Bhawanipore, this place platters the essence of a wedding with sheer joy and perfection. The place has is high on heritage and oozes the tinge of Bangaliana. Address- 23, Mohini Mohan Road, Lala Lajpat Rai Sarani, Kolkata – 700020, Near Netaji Bhawan Metro Station. Capacity- The venue can hold up to 100 guests. Food & Decoration- You can get your catering done from outside. The option for decoration is available both in-house or from outside as well. Per plate food starts from Veg INR 350/- and Non-Veg INR 450/- excluding taxes. Get married at this beautiful place soon! Address- Malik Court, No. 39 A, Harish Mukherjee Road, Bhowanipore, Kolkata – 700025. Capacity- This place has a capacity to hold around 400+ people, this place caters to an overwhelming experience of the wedding. They have rooms which make it convenient for people to get the wedding done here. Food- Food is served in-house. Per plate, Veg starts from INR 450/- + Taxes and Non-Veg starts from INR 550/- + Taxes. Alcohol can be brought from outside. Decoration- Outside decoration is not allowed and you have to choose from their panel itself. Also, there are rooms available for extra space and comfort. Want to know about other heritage venues in Kolkata for a hearty wedding? Wait for the next post!